P2P Allowed So you Can Torrent as well. Works in China to allow people in China access the internet freely. Good speed results in less buffering while surfing and streaming. Zero logs which means greater privacy for users. 24/7 good customer service to provide more help/information. Good OpenVPN encryption to maintain user privacy. Money-back guarantee to offer users peace of mind. Servers in 50 regions to allow users unlock geo-restricted content. Works With US Netflix for people who want to view US content. Five days free trial test the service before buying. Excellent customer service to help users set up the service easily. US Netflix available for viewing US content outside the US. Kill Switch to ensure VPN protection even without the internet. Five simultaneous devices for users who have more than one device. Servers in over 24 countries for more region-locked content. Works with US Netflix for people living outside the US. Live chat support for users help anytime they want. Consistent speeds for smoother streaming experience. Good security for users who want speed AND security. Servers in over 94 countries which gives users lots of options. P2P allowed for users who want to download large torrent files. Read to find out the best VPN for Kodi to help serve your needs. Back in May of 2017, the United Kingdom government made something crystal clear. The court will show no mercy to streamers who are using the Kodi media player in order to broadcast official Premier League games. The warning also went the same for other users who pirated content via Kodi. Some of you might not take this message from the U.K. government seriously. After all, governments around the world have tried to warn people against piracy for decades now. And no one seems to care much about those warnings. This time though, we have seen a sharp rise in the number of piracy lawsuits against any and all popular Kodi add-ons. Most recently, copyright holder groups have managed to punish the most popular Kodi add-ons in the form of SALTS and Phoenix. Best VPN For Kodi? What is Kodi Anyway? Kodi is perhaps the best home entertainment software for anyone who wants to consume content online. It is also open source. Moreover, it comes for free. Anyone can download it, and on any platform. Developers initially launched Kodi for the Xbox gaming console. Back then, they called it the Xbox Media Center or XBMC. Since then, Kodi has quickly risen to become the most popular open-source media player in the world. People all over the globe use Kodi to stream TV shows, along with movies. And that, too, is for free. Do I really need a VPN service for Kodi? How about I use a VPN for OpenELEC? Is there a free VPN for Kodi or Kodi Fire Stick? How do I set up a VPN on Kodi? What are the best Kodi apps for everyone? We’ll answer all of these questions in this guide. Kodi’s core function is to turn any compatible device into the ultimate streaming platform. Moreover, Kodi allows users to stream live content with only the help of specific third-party Kodi add-ons. You will need to install these Kodi add-ons using the Kodi interface. A good combination of Kodi and Kodi add-ons can literally stream any content from any place in the world. For free. The other great aspect of using Kodi is that users are free to install all Kodi add-ons on their own. Moreover, now we have people selling pre-installed Kodi streaming devices. That makes the whole process of streaming content via the Kodi device a lot easier. Let’s take a look at some of the problems you can encounter while trying to stream content via Kodi. If your internet service provider is a jerk then it can report all of your Kodi use under copyright infringement. We have an example from the U.K. where there is a pending legal case that has attracted a lot of media attention. That should serve as a perfect example for all Kodi users. There’s also the case where an EU court ruled that streaming content on Kodi is an illegal activity. On the same level as downloading a pirated movie. The other problem with Kodi streams and certain apps is that their developers have put geo-restriction on them. Some are even subject to appropriate copyrights laws. We’re talking about Kodi apps for streaming services such as Netflix, YouTube and the BBC iPlayer. Kodi also has some rather serious security flaws of its own. Hence, users who aren’t protecting themselves with Kodi are actually giving hackers all the opportunity they need to target them. Internet service providers in Australia can keep a lot of data on their customers. Click here to find how how internet service providers in Australia will use metadata to spy on what people do when they are online. The US has some of the worst privacy laws in the world. With the recent net neutrality repeal and crackdowns on Kodi add-on developers and services, the US has become an uncomfortable place for Kodi users. There are also reports about investigators starting to expose Kodi users who use third-party Kodi addons. What we’re conveying in this guide is: Kodi users should give their privacy and security some serious thought. If they want to easily eliminate security problems in Kodi, then all they have to do is use a VPN. VPN services protect users by establishing a tunnel between the user’s Kodi device and the internet. With that in mind, it makes sense that a VPN service can take care of most if not all Kodi security flaws. In other words, you can avoid all potential privacy and security issues with Kodi only if you use a VPN service. Now, VPN services are a complicated piece of technology. If you want to know more, there is always Google. But if you don’t want to waste time, then know that a VPN service protects you with encryption and tunneling technologies. IPVanish is indeed the best VPN for Kodi. Excellent encryption technologies which provide full protection for Kodi users. Great apps for all major platforms and operating systems. Great speed, which makes IPVanish the best choice for Kodi streaming. All VPN servers work equally great. Over 850 VPN servers in over 60 countries. Works with all Kodi add-ons. If we are talking about best value for money, then IPVanish is hands down the best VPN for Kodi. It is affordable and has great features. By that, we mean that IPvanish has a VPN server network that expands throughout the whole world. And most of all, it’s such a well-rounded VPN service provider that it can handle anything and everything you throw at it. That means Kodi users will have no trouble streaming content with IPVanish. IPVanish has blazingly fast VPN servers. That gives an even smoother streaming experience for all Kodi users. The other great thing about IPVanish is that it does not keep any logs about users. This ensures 100% privacy for all IPVanish users. The only fault we could find with IPVanish is the fact that it is based in the U.S. That means IPvanish will come under U.S. laws. However, IPVanish cleverly bypasses that problem by keeping no logs. And since it keeps no logs, it can’t help any government agency that wants to track down its users. IPVanish offers an OpenVPN connection encryption to all its users. That makes things very easy for Kodi users who want to stream their content privately. IPVanish will protect Kodi users no matter if they are streaming movies or watching live sports. Another plus for IPVanish is that its subscription packages come with a seven-day money-back guarantee. So any Kodi user who purchases an IPVanish subscription is taking absolutely no risk at all. IPVanish provides near-to-perfect privacy and security for all types of users, especially Kodi users. And it does that at an economical price. Besides, IPVanish is perhaps the only VPN service provider that works with all Kodi add-ons. And not just the popular ones. To sign up for IPVanish from the official website right now click here. NordVPN is definitely one of the best VPN for Kodi. Anonymous payments such as Bitcoin acceptable. Advanced features such as double data encryption. VPN servers in over 60 countries, providing a truly global coverage. Six simultaneous devices allowed per account. Monthly packages are more expensive than most other VPN service providers. For Kodi users who are based in the U.K. or in the U.S., NordVPN is great. It is one of the best VPN services for Kodi. Especially for users who want privacy and security in equal measure. Part of the reason why that is because it has such a complete package for Kodi users and their needs. NordVPN is most well known in the industry for its extra attention to technologies, such as encryption. The company’s main focus is on ensuring that Kodi users have access to the best encryption technologies. That is why one of its advanced features comes in the form of a double encryption system. NordVPN called it DoubleVPN. The DoubleVPN system enables the NordVPN service to encrypt everything from inbound data to outbound data. It does that with the help of AES 256-bit CBC encryption. Twice. That’s right—AES 256 bit is already a very strong encryption standard, but NordVPN doubles that to provide users with more security. It is based in Panama. Moreover, the recent and scandalous Panama Papers had nothing on NordVPN. The fact that NordVPN survived the Panama Papers unscathed should give you enough evidence of the quality of its services. No Kodi users should have any doubts about the logging policies of NordVPN. NordVPN also supports Tor over VPN. So all Tor users would also do well if they sign up for NordVPN as their preferred VPN service provider. NordVPN slightly edges on the expensive side. It charges higher prices than the average VPN service provider. But it does provide users with extra features as well. With that said there’s one problem with NordVPN worth bringing up here. Because of the heavy double encryption, sometimes Kodi users should expect slower speeds. Hence, if you want to stream content from Kodi at a fast pace then perhaps NordVPN isn’t for you. But that doesn’t mean NordVPN isn’t one of the best VPNs for Kodi. It’s just not as fast as some of the other VPN service providers we’ve mentioned in this guide. NordVPN is definitely the best privacy-friendly VPN service for Kodi. Click here to read our full NordVPN review. To buy NordVPN from the official website right now, click here. StrongVPN is certainly one of the contenders for being the best VPN for Kodi. A five-day free trial for users to test the service. Five simultaneous connections allowed per account. Little in the way of Windows 10 instructions. StrongVPN is a good VPN service provider if its systems assign the user an OpenVPN VPN server. We know—that sounds weird. Even crazy. But StrongVPN may well be the only VPN service in the world that uses such methods for table allocation. You will have to pay around $10 per month for StrongVPN. And in return, it may or may not give you a good service for that particular month. Does that sound crazy or what? Our research shows that StrongVPN used this table allocation method to “assign” some users rubbish VPN service. And what are your options when that happens to you? That’s right, you have to make the lives of the company’s customer support staff a living hell; there is just no other way. Once you do, their customer support should get everything sorted out. Why wouldn’t StrongVPN give good service to users from the get-go? Why torture them, then torture their own customer support staff before starting the real service? We have to be honest here with you. StrongVPN is no longer the best VPN service around. But now, very few people recommend using StrongVPN with Kodi or with any other system. Some say it has become an awful service. But we’ll reserve our judgment until StrongVPN proves otherwise for the next year or so. The thing with StrongVPN is that your experience will depend on your luck. You may get the best version of StrongVPN. Or you may get the short end of the stick. And have a horrible experience with the service. This inconsistency is what costs StrongVPN its place as the top VPN service provider for Kodi. It is true that when StrongVPN does work, it will enable access to all streaming sites around the globe. We know for a fact that Netflix is the hardest streaming services to get your VPN service to work with. And StrongVPN has done that. Netflix has spent millions of dollars to ensure that it detects VPN services and can block them. Our research shows that StrongVPN works for Netflix in the U.S. and U.K., which is great. StrongVPN will even unlock lesser known streaming sites such as NBC.com and ABC.com. As far as the U.K. goes, StrongVPN will unlock U.K.-based Netflix accounts. And along with that, it will unlock BBC iPlayer and Channel 4 as well. The only thing StrongVPN needs to sort out now is its laughable server allocation policy. Customers, new or old, should never be made to waste their time on customer service more than on the actual service. The company has to stop assigning each customer to a home server or a default server, because some of these are indeed rubbish. And some use the PPTP protocol, which is not safe. If you complain, you can change your situation, of course. Otherwise, StrongVPN can be insecure and slow. Click here to read our full StrongVPN review. To purchase StrongVPN from the official website right now, click here. VPN servers in over 50 countries. Can work with U.S. Netflix. Official website available in many languages such as Swedish, Dutch, German and English. Not as reliable as some of the other VPN service providers on this list. 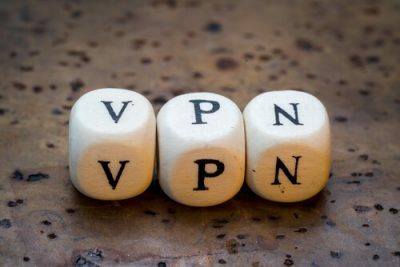 PrivateVPN is perhaps the most experienced VPN service on this list. And it has used that time to become one of the most established VPN services in the world. All subscribers have the permission to access a tier 1 network of VPN servers. These are all placed in strategic locations that dot the entire map. As far as speeds go, PrivateVPN has a reasonably fast VPN network. Our research only showed slight drops in downloading speeds when comparing average connect speed with and without a VPN service. This VPN offers decent privacy. And its zero log policy really puts the icing on the cake. It offers good encryption and allows users to toggle between TCP and UDP. That makes PrivateVPN a fantastic tool for anonymity with convenience. These are all huge benefits. And then we have the kill switch and auto-reconnect features. As mentioned above, PrivateVPN has an excellent selection of VPN server locations. Overall, PrivateVPN is an excellent VPN service for any purpose let alone just for Kodi. And it is certainly worth the money when you consider that if you sign up for a year, you get huge discounts. Moreover, PrivateVPN offers a 30-day money back guarantee and a seven-day trial period. Hence, users have to take exactly zero risks when trying out or buying PrivateVPN services. To purchase PrivateVPN from the official website right now, click here. ExpressVPN is another VPN service that you could categorize as the best VPN for Kodi. All Kodi add-ons will work with ExpressVPN because it has hundreds of servers in hundreds of countries. ExpressVPN apps are very user-friendly. Excellent speeds for users who want to use Kodi for streaming. VPN-enabled routers are available, which can cover the user’s whole network and all devices connected to the network. ExpressVPN is amongst the best VPNs for Kodi. Especially if you want fast streaming speeds and quick connection to VPN servers. ExpressVPN has worked really hard to establish itself as one of the best VPN service providers. They have managed to carefully assemble a VPN service that is easy to use for customers. And has remarkable performance results. As mentioned before, if Kodi users want to stream via Kodi, then ExpressVPN has the speed and the VPN server availability for them. Moreover, ExpressVPN is perhaps one of the few VPN service providers that comes with VPN server locations in all major countries. Or, almost all of them. 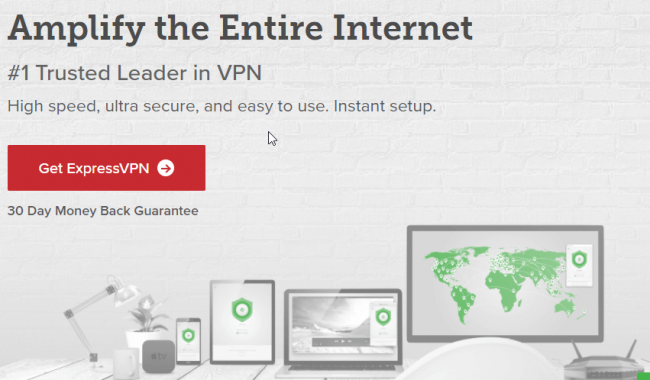 ExpressVPN even has unique VPN apps for devices such as routers. Right now, ExpressVPN can provide you with Linksys WRT router models along with ASUS RT series WiFi routers. But ExpressVPN isn’t simply great because it has many fast VPN servers. It is great because it offers you the complete package. The company wants to take care of you from the moment you log in to its official website to the time when you install its VPN app and connect to one of its many fast VPN servers. That is why ExpressVPN has over 23 different online payment options for users. It even offers Bitcoin as a payment method. Moreover, ExpressVPN, as a company, comes under British Virgin Islands laws. Hence, it doesn’t have to subject itself to the U.S. National Security Agency (NSA) or other government surviellance agencies. The NSA has no jurisdiction over the area where ExpressVPN operates from. Overall, ExpressVPN forms a fantastic choice for users who are extra privacy-conscious. Kodi users who want to make sure someone is there to help them when they get into trouble will also enjoy ExpressVPN. The company offers excellent customer service. It is available 24/7 via methods such as live chat and email service. ExpressVPN even has an extensive knowledge base section. Kodi users would do great if they choose ExpressVPN as their primary VPN service provider for Kodi. Remember, you do not want to stream from Kodi without a VPN service. That is akin to leaving one’s door open while watching TV on another floor. In other words, we want you to protect yourself with a VPN for Kodi. And ExpressVPN is not a bad choice by any means. Click here to read our full ExpressVPN review. To purchase ExpressVPN from the official website right now, click here. Let’s take a look at some of the platforms that Kodi supports as far as streaming goes. Android: All users can download Kodi via the official Google Play Store website. Users who don’t want to do that can instead download the APK file and install Kodi on their streaming device. iOS: OK, iOS users can’t really download Kodi from the App Store, but they can install Kodi on their iOS devices via other methods for jailbroken and non-jailbroken iOS devices. Linux: Kodi works with most Linux distributions although in the beginning developers only intended if for the Ubuntu Linux distribution. Mac: For Macs, users can take advantage of the official .DMG disk image download. Windows: Windows users can download Kodi from Kodi’s official website with the help of an exe file, and then they can install it on their Windows systems. Chromebox: We’ll just tell you the bad news straight up. Don’t expect an easy installation process when trying to set up Kodi on a Chromebox. If you want more information on how to setup Kodi on your Chromebox, then click here. Amazon Fire Stick: Some Kodi users would want to use Kodi on their Amazon Fire Stick. We get that. That’s why we have this guide for you here. Google Nexus Player: Kodi users who want to experience Kodi on their Google Nexus Player will have to download a completely separate installer. Then they can install Kodi. To know more about how to install Kodi on Google Nexus Player click here. Nvidia Shield: Thankfully, Nvidia Shield does come with support for Kodi in the form of a default Android app. All you have to do is go to the official Kodi Android app page and download the file from there. Please try to keep in mind that the list we have provided here is by no means conclusive. Kodi is an open source media player, as we have mentioned before. Hence, you can expect much more third-party support for open media players such as Kodi. The only platforms we have mentioned are the ones that we think are the most relevant to our readers. Our list covers the most popular Kodi devices. To find out the greatest list of Kodi add-ons click here. The first thing you need to do here is set up Kodi on your Kodi device. After you are finished with running Kodi on your device, you need to subscribe to one of the many VPN service providers that we have mentioned above. As mentioned before, we think that IPVanish is the best VPN service provider for Kodi. To sign up for IPVanish from the official website right now, click here. Signing up for a good VPN service provider is only half the solution. After signing up for a VPN service provider such as IPVanish, you need to download and then install your VPN service provider’s VPN client on your favorite Kodi streaming device. Of course, you will find that impossible to do if you want to install Kodi on Amazon Fire Stick. If that is the case with you, then either read this guide or install a VPN on your home router. After installing the VPN client on your Kodi device, you need to start the application. Then you need to connect to a server. The location of the server depends on what you want. If you want to unblock U.S. Netflix then connect to a U.S.-based VPN server. On the other hand, if you want to watch Hotstar outside of India then connect to a VPN server based in India. Remember, the closer you are physically to the location of your VPN server, the faster your VPN connection would be. After connecting, you need to keep the VPN client running in the background. Then start the Kodi application on your favorite streaming device. After that, you can start your Kodi streaming experience and watch all of your favorite TV shows and movies. Congratulations. That is really it. If you signed up for a great VPN service provider like IPVanish, then they also have an official Kodi guide here. We wouldn’t say that was hard, right? With that problem out of the way, now we need to learn which apps can improve your Kodi streaming experience. Think of Kodi as your smartphone device, but only in terms of its software because Kodi isn’t really anything that you can touch in the real world. It is simply an open source media player software application. But it does work like a smartphone in the sense that you have to install Kodi add-ons to improve Kodi’s functionality. Kodi add-ons also enhance any Kodi user’s streaming experience. With that out of the way, readers should know that sometimes people raise legitimate questions over the legality of a few of the most popular Kodi add-ons. So, all Kodi users need to exercise some caution when trying to stream content from Kodi using their streaming devices. Let’s take a look at some of the best and most popular Kodi add-ons for Kodi. Exodus: Exodus is one of the absolute best and most popular Kodi add-ons that you can find in the entire Kodi community. It is great for watching the latest TV series and movies. Click here for the complete guide. Phoenix: Phoenix is another great Kodi add-on. It is more of an allrounder. This Kodi add-on will grant you access to hundreds if not thousands of Kodi streams for high-quality free content. SALTS: SALTS is mostly known for its awesome subscription features. In case you were wondering, SALTS stands for Stream All The Sources. BOB: Kodi users looking for a solid HD video and audio experience should definitely check out this Kodi add-on. Phoenix: Phoenix is also great for Kodi users who want a solid sports streaming experience. Sanctuary: Another great Kodi add-on. Kodi users who want high-quality and premium content from sources such as BT Sports and/or Sky Sports should give this add-on a try. USTVNow: It comes with a free trial and that enables access to six channels. For more channels, Kodi users will have to sign up for a streaming service. Yes, USTVNow is a Kodi add-on, but it is also a subscription-based service. Phoenix: Phoenix, as far as Live TV goes, is the same as USTVNow in terms of offers and content availability. VidTime: Another valuable option for Kodi users who are desperate for some quality pay-per-view events. We’re talking about high contact physical sports. What Do You Mean When You Say A VPN For OpenELEC? OpenELEC is basically a Linux distribution. The developers behind this program want to design something for those who only want media playback. And that’s what OpenELEC gives you. For streaming media, OpenELEC makes use of Kodi as its user interface by default. Most users in the community call OpenELEC as Just Enough Operating System. And because OpenELEC doesn’t have to load a lot of other content, it has really fast boot times. It also has a very small size. Hence users can run it from a flash memory card if they want to. Moreover, users can also use OpenELEC from any given minimal set-top box devices or similar hardware setup. Think of OpenELEC as the bare-bones version of the XBMC player or Kodi. The only problem is that with OpenELEC, users don’t get access to third-party Kodi add-ons. So there are no extra benefits. No advanced Kodi interface experience. Popular Kodi add-ons like Specto Fork, Phoenix and Exodus require installation of the latest Kodi player release. Moreover, the setup should be working as well. Currently, these add-ons only support Kodi version 16.1 and upwards. The version 16.1 of Kodi is also called Jarvis. Readers should also know that Kodi considers it illegal for users to download, install and use some third-party apps. This rule applies to apps that stream copyrighted content for free. If the law enforcement authorities in your country decide to prosecute, then they can. Hence, a VPN service can help Kodi users mitigate such risks. With a VPN service, no law enforcement agency in the country can catch you. If you don’t use a VPN, then you are always using Kodi at your own risk. Do You Really Need a VPN Service For Kodi? Of course, you are also free to use Kodi without a VPN service. Kodi doesn’t actually need a VPN service in order to work on any given system. Also consider the fact that some Kodi apps and streaming services have geographic restrictions. Hence, if you aren’t located in the right country, you can’t watch a lot of the best quality content. With a VPN service, you can bypass Kodi geo-restrictions. A VPN service can also unlock all other streaming services along with any special Kodi content and/or movies. All the while, a VPN service also protects your identity and anonymity. The service encrypts your data so that even if someone finds it, he/she can’t decipher it. To put it another way, if you use a VPN with Kodi you will drastically improve your Kodi experience. Why Can’t I Use A Free VPN For Kodi And/or Amazon Fire Stick? Well, the fact is, you can. Maybe you read all the way here because you want to know about that one perfect free VPN for Kodi. Well, we’re glad to tell you that there are indeed some free VPN options out there. Generally though, they don’t provide a smooth streaming experience. These free VPN services usually come with bandwidth caps. Sometimes they can collect your data. And then sell it to marketers without telling you. All of this will depreciate your Kodi experience. Moreover, streaming content via Kodi will become a pain for you rather than an enjoyable experience. With our guide, you should have no problems finding the best free VPN for Kodi. But as they say, you always get what you pay for. Free VPN services don’t fully unblock Kodi content that has geographical restrictions on it. Moreover, you can’t stream content at the maximum speed with a free VPN service. For a great Kodi experience, you need to invest in a great VPN service provider. As mentioned before, our research tells us that the best VPN service provider for Kodi is without a shadow of a doubt IPVanish. To sign up for IPvanish from the official website right here and right now you can click here. Remember, IPVanish has special features which work great with Kodi. Free VPN service providers don’t even come close to VPN service providers such as IPVanish. Best VPN For Kodi: Where Can I Find Kodi VPN Add-Ons? The thing is: Even though Kodi is great, it is relatively new. Its technology is also new. The streaming world never had a Kodi before. Hence, you’ll find that most VPN service providers haven’t come up with dedicated and native Kodi add-ons. In fact, there are very few VPN service providers who have Kodi apps. And the ones that do haven’t managed to make good ones. Currently, our research shows that the only VPN service providers that offer Kodi VPN apps are PureVPN and Ivacy. These VPN service providers aren’t bad, but they aren’t great either. However, if you must use a VPN service with a Kodi app then these two are probably your best shots. The advantage of having a Kodi VPN app is that it’s quick to set up and and install. You also have to remember that PureVPN and Ivacy don’t have stellar reviews from sites across the internet. Including Security Gladiators. We have some serious questions about their privacy policies along with logging procedures and VPN server speeds. There are many other reasons why IPVanish outperforms both of these, but the final decision is in your hands. Kodi users should especially give a lot of attention to the VPN service they sign up for. Not only do they want security and privacy, they also want speed. More regions around the world are cracking down hard on Kodi users who stream illegal content. Hence, all Kodi users should start to invest in a good VPN to protect their identity when streaming content from Kodi. The easiest way to quickly set up a VPN service on your device is to use a VPN Manager. You can do that via the popular Zomboided repo. Click here to go there. First, you need to download the official Zomboided Repo. Then you need to transfer that file to your favorite Kodi device. After that, go to your Kodi home screen and then go to the option that says Select System. Then select Add-ons. And then hit Install from zip file. Now you need to find that Zomboided repo file that you just downloaded in the previous step. After that, you need to choose the option that says Install from repository. Then choose Zomboided Add-on repository. After that, simply click on VPN Manager for OpenVPN. When that’s done, then you need to click Install. Wait for a bit before Kodi shows you the add-on enabled message in the top right corner of your screen. Hit the option that says Setup A VPN service provider. Search for your VPN service provider and then enter your official and original VPN account login details. 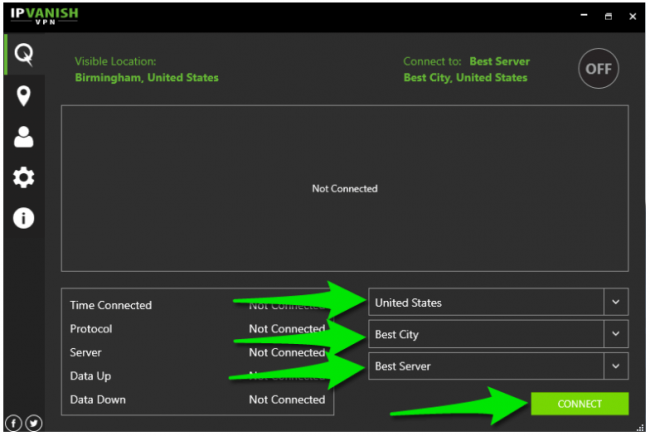 Then simply connect to a VPN server from the given VPN server list. And that is it. You’re done. And hence it enjoys a good amount of support from the XBMC Foundation, a non-profit technology consortium. All of that basically means that in the future, Kodi will have endless possibilities for VPN development and other options. Kodi has steadily become the most popular streaming platform. And that has attracted a lot of hackers, Internet Service Providers (ISPs) and copyright trolls to it. Hence, Kodi users must use a VPN with Kodi. That is the only way to make sure that you are safe and secure from all online threats. We hope this guide helped demonstrate why you need a VPN service for Kodi, offering choices for the best provider. There is a good chance that you might have some questions about VPN on Kodi. If so, then use the comments section below to voice your questions which may be specific to VPN support for Kodi or to some other general topic.